It’s one thing to pretend to be authentic; it’s another to pretend to be fake. In the space of two years, PC Music has gone from little more than a Soundcloud page to a cult dance music collective followed by those in the know and from there to a legitimate pop culture happening—the loosely-defined label/brand’s artists are now seemingly poised on the brink of crossover success. With its frenetic ultra-digital sound palette and predominantly online existence, PC Music presents itself as a decentralized, internet-borne entity: originating in London but not bound to the city, the label’s visual and musical aesthetic references visions of futuristic east Asia as its artists jet around Europe for DJ sets. On the one hand its image and means of promotion directly reflect the obsessions and online social world of the creatively inclined twenty-somethings that make up its fan base, as well as the realities of dance music as a business. Still, in the intricate web of connections and references lying behind a surface of gooey pop appeal—and the outsize public personas of acts like GFOTY—there is a distinct veneer of intentional artificiality to PC Music. There is nothing new about a manufactured image, but PC Music stands out for how its public identity has been so thoroughly constructed from a DIY, quasi-underground starting point. Only a few degrees off from reality, this hyperactive vision of online life raises questions about performance in our daily lives and identities. Viewing PC Music as a boutique label with corporate aspirations, there’s a temptation to reach for analogies from the history of British independent music. In the 1980s, labels like Factory Records used slick, unified graphic design to present esoteric, innovative music as a pop product, while ZTT (home of Frankie Goes to Hollywood) fully infiltrated the mainstream. 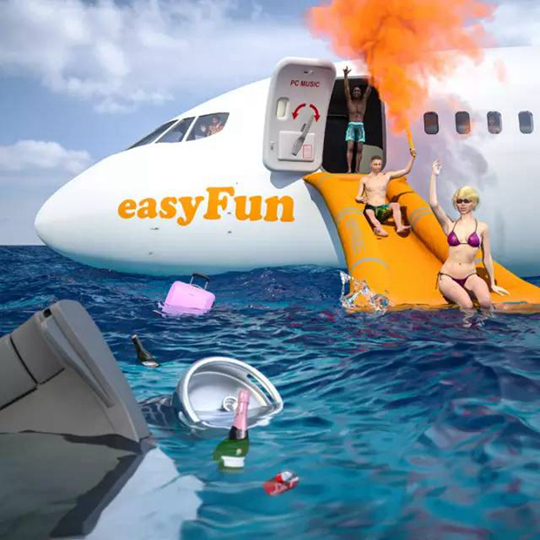 Yet such labels still seem like poor comparisons, their once-radical strategies and evocations of Situationism now fully subsumed into business and advertising. 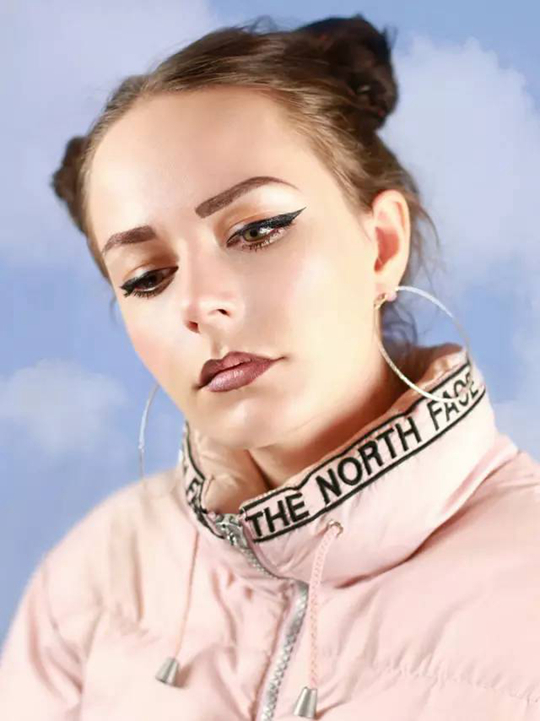 For one thing, PC Music cheerfully mangles the regional identity once so crucial to independent labels. While a circuit of London parties and DJ gigs has helped fuel the label’s expansion, PC Music doesn’t explicitly represent itself as a London enterprise. Yes, the label’s artists are all based in the city, but working from their laptops they surely could be anywhere, right? In a sense this is true, but PC Music’s post-internet globalism is also part performance. PC Music’s recent Pop Cube performance, organized in collaboration with Red Bull in New York, presented the label as a cosmopolitan collective ready to set down anywhere. 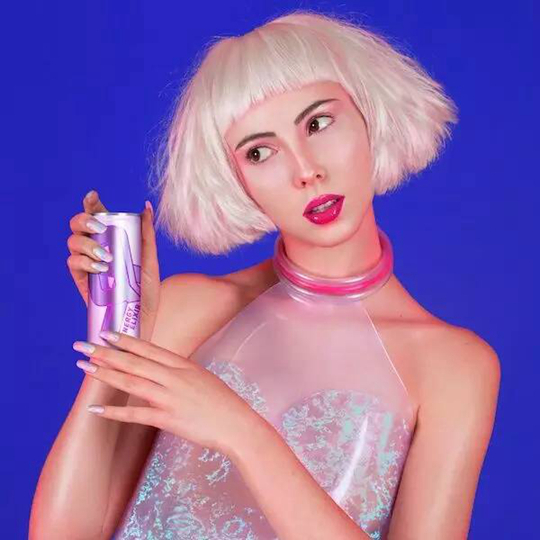 However, it is frequently overlooked just how much PC Music artists reflect the influence of living and working in London. Even though it lacks, for the most part, the glittering skylines of Shanghai and Dubai, London encapsulates the shape of the present that PC Music at once embody and parody—a present in which the dreariness of decaying buildings that were cutting-edge in the 1960s is offset by fast Wifi, budget airline tickets to sunny Europe (see PC Music act easy-Fun’s repurposing of easyJet imagery), and the prospect of dancing and taking drugs on the weekend, provided you remembered to buy tickets online two months before the party. If you’re making music in your bedroom on your laptop, hoping for a feature in a fashion magazine or a grant, you might as well make your DIY products slick and create a brand. What’s curious about this mixture is how successfully PC Music has cast it as broadly representative and relatable, when many of the specific conditions that led to the label’s birth only really exist in London. There are few places outside London where you can study sonic arts and sound not just in an esoteric graduate program, but as your undergrad degree. PC Music founder A.G. Cook and producer Danny L Harle both studied composition at Goldsmiths, suggesting the label emerged in a shared offline social circle linked to these circuits. While ballooning London rents have long made the prospect of forming a band and functioning as a group a niche concern, that isn’t yet the case in every global metropolis. 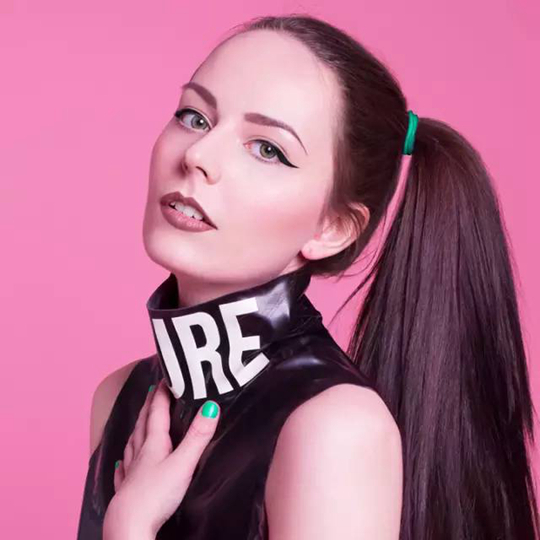 It’s impressive that PC Music has managed to take the redicaments of London’s present and transform it into an internationalized image of the contemporary world. If positioning itself in digital space is the masquerade underpinning PC Music as a whole, the public personas of key figures are also a masteract in performance. Like most people online, they meticulously construct personalities, at once hiding details and throwing in unexpectedly frank confessions, complicating ideas of a real identity. It’s near impossible to ascertain the difference between artifice and true intentions. 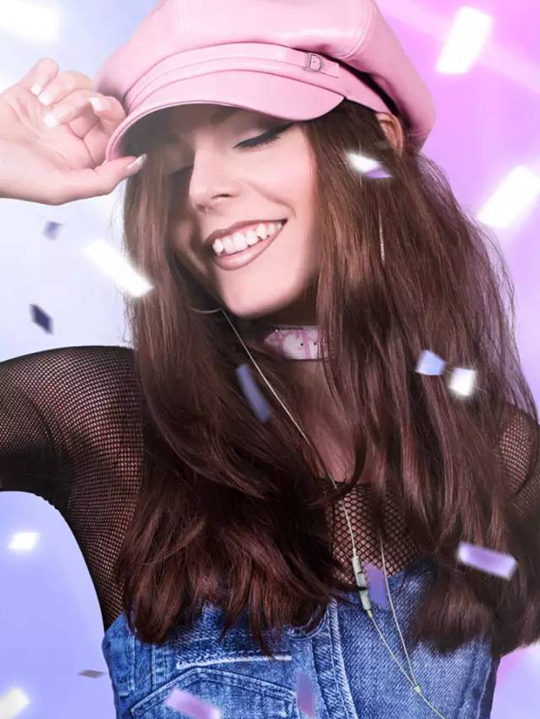 In an advertisement for Pop Cube, Hannah Diamond shares that she wants to present her work as a complete audiovisual package, and A.G. Cook inhabits a goofy yet fun personality that doesn’t seem particularly put-on. But it’s something of surprise when he claims he steals 98% of his work from American composer Conlon Nancarrow, whose work with player pianos prefigures aspects of programmable computer music. This gesture to the canonical avant-garde seems to clash with PC Music’s now-focused ethos, yet Cook’s claims of plagiarism give the comment a sarcastic tone. The viewer is left confused whether Cook is joking or if PC Music’s bubblegum maximalism bears surprising links to the “good taste” of experimental music. Perhaps the biggest personality associated with PC Music is GFOTY, whose vocal-led songs place her closer to a skewed pop star than some of the label’s anonymous producers. In a video interview with FACT Magazine this spring, she made constant references to the wealth of her Austrian boyfriend and her love of money. The joke went sour when she made racist comments about Malian duo Toumani & Sidiki Diabaté in a review of Field Day festival. GFOTY eventually apologized for her tasteless remarks, but the entire incident left an uncomfortable reminder of the shaky line between posing as the representative of obnoxious over-entitlement and actually inhabiting it. The conundrums posed by PC Music’s approach to identity are also encapsulated by QT, a collaboration between artist Hayden Dunham, Cook, and Sophie, a producer closely linked to the label. QT is simultaneously a character portrayed by Dunham, a pop group, and an energy drink. As a cynical recapitulation of branded content and advertising, QT is radical. Yet it’s also a manufactured pop project fronted by a woman conforming to western beauty standards. Whether the music is pleasant or not, PC Music artists present the sound of now, from high-gloss commercial pop to online detritus and the ease of making music on computers. To brush them aside is to block out the world. The label’s corporate identity and the individual personas of its performers similarly balance the opportunities and pitfalls of the current era, offering both chances for positive reinvention and narcissistic self-absorption. Presenting itself as decentralized even from its base in London whilst its artists fluidly play with their identities, PC Music represents a new breed of record label, reflecting on how we now live as it questions the need for actual records and labels.